Nieman Lab predictions are increasingly difficult for me to write. I know what I would like to see happen in the future of news. But I fear that what we’re most likely to see is more of the same. I hope that journalists will discover they have a lot to learn from community organizers about how to listen to the people they serve and better reflect their experiences — particularly in communities that have often been left out of our reporting. In July, the incredible folks at Free Press published an excellent guide on how to do just that. And one of the guest speakers we learned the most from in the community engagement class I co-teach with Jeff Jarvis at CUNY was Taylonn Murphy, a community organizer and activist who has worked to combat gun violence in New York City since the tragic death of his daughter in 2011. Murphy said that community organizers understand why people might choose a path in life that might not make sense to a journalist; for example, how there might be dozens of complicated steps that ultimately lead someone to pick up a gun. They dig beneath the surface of individual incidents and understand the larger systemic issues that impact people’s lives. And when it comes to journalists, he talked about the importance of honesty about your motivations and assumptions when working in communities that have little incentive to trust you; keeping your angle close to the vest doesn’t give people a lot of faith that you are there to get it right. I hope more journalists will follow my former social journalism student Allen Arthur’s lead and look for creative new ways to share people’s stories that go beyond traditional media platforms. In addition to his hard-hitting investigative journalism that has helped to change laws, Allen developed an events series that allows formerly incarcerated people to share their art. I hope will we see more creative uses of technology like Outlier Media, which uses text messaging to inform lower-income news consumers with specific, personalized data on things like housing, inspections, or utility shutoffs. To do all of this, journalists will have to stop putting so much of their energy into worrying about finding neat, clean answers to thorny questions about what counts as advocacy. Yes, we must always retain our intellectual honesty, fairness, and independence from faction. But if you’re gnashing your teeth over whether some of the kinds of things I suggested above amount to “advocacy” or if they’re “really journalism,” you might consider if having a bias toward a healthy civic life and a functioning democracy may be one we just want to acknowledge and embrace. If we want people to trust us, we need to recognize that objectivity is complex and that instead of prostrating ourselves blindly at its altar, we need to instead look harder at all of the subtle biases we have, how they affect our work, and how we can be more transparent about them. We need to recognize that a commitment to neutrality is not the same as a commitment to the truth, and that it can allow us to be manipulated by bad actors if we aren’t careful. Ultimately, it’s about complicating the narrative. Not just when we report in communities in conflict with each other, but within our own profession. I’m worried that defensiveness, misaligned incentives, and the pull of inertia will prevent us from doing all of these things in 2019. But let’s try to stay hopeful that this is what the new year will bring. 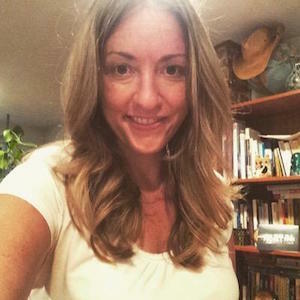 Carrie Brown-Smith is director of the social journalism master’s program at the Newmark Graduate School of Journalism at CUNY.